The worlds first scooter with reverse camera parking sensors, heated cabin and remote central locking. The Cabin Car is oozing with features to make it the easiest scooter to operate. 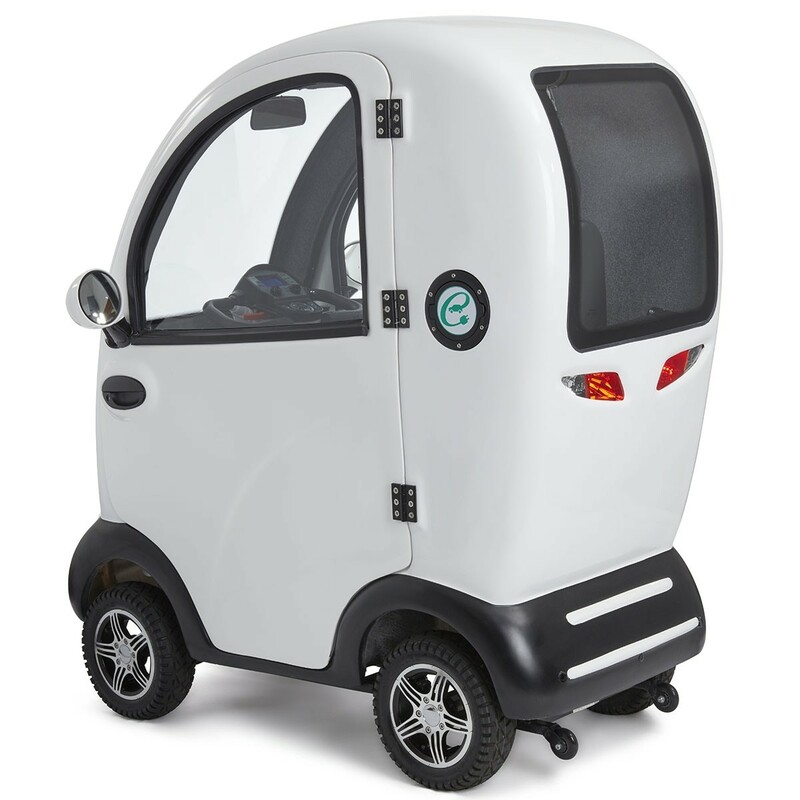 From unlocking the doors with remote central locking, to reversing with built in reversing camera and sensors the Cabin Car is the nearest to a car a mobility scooter has ever got. Motor industry grade lights – Enjoy safe night driving. 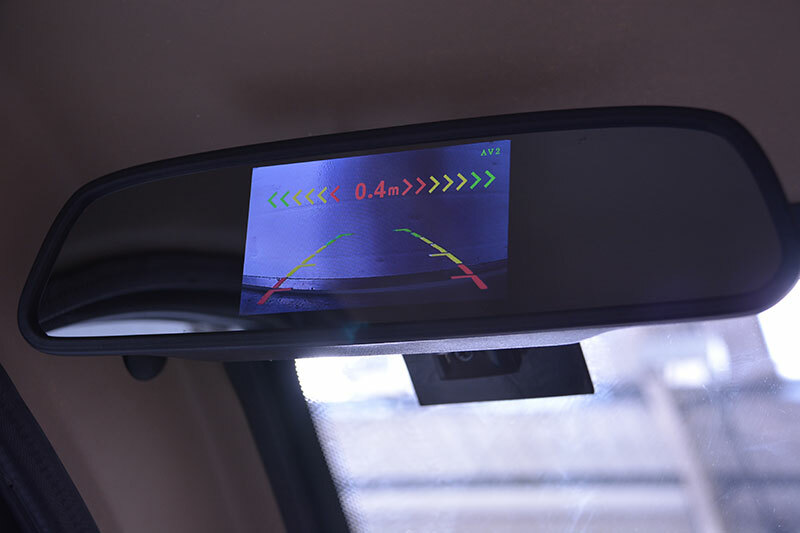 Digital dashboard display – Speed, distance travelled and temperature at a glance. 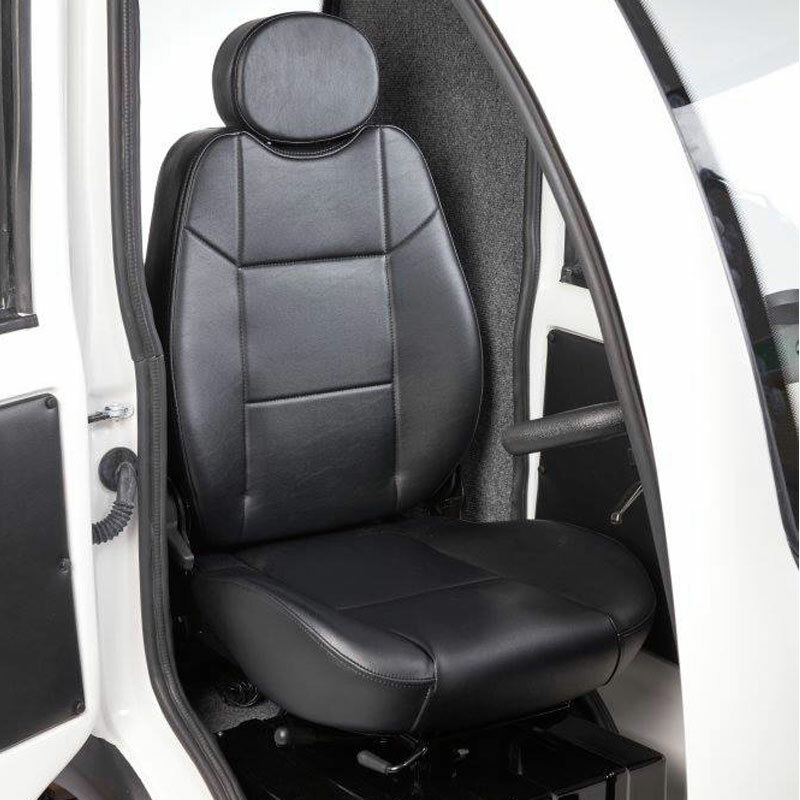 Luxury seating – Car style comfort. Super soft suspension – Very quiet, soaks up the roughest of ground with ease. Reversing camera and sensors – Never struggle to reverse again. Remote central locking – Peace of mind when leaving your scooter. Built in heater fan – drive in comfort in rain or shine. Toughened glass windows – Excellent safety and security. Charger – Smart charger included. Dashboard – Digital illuminated display. 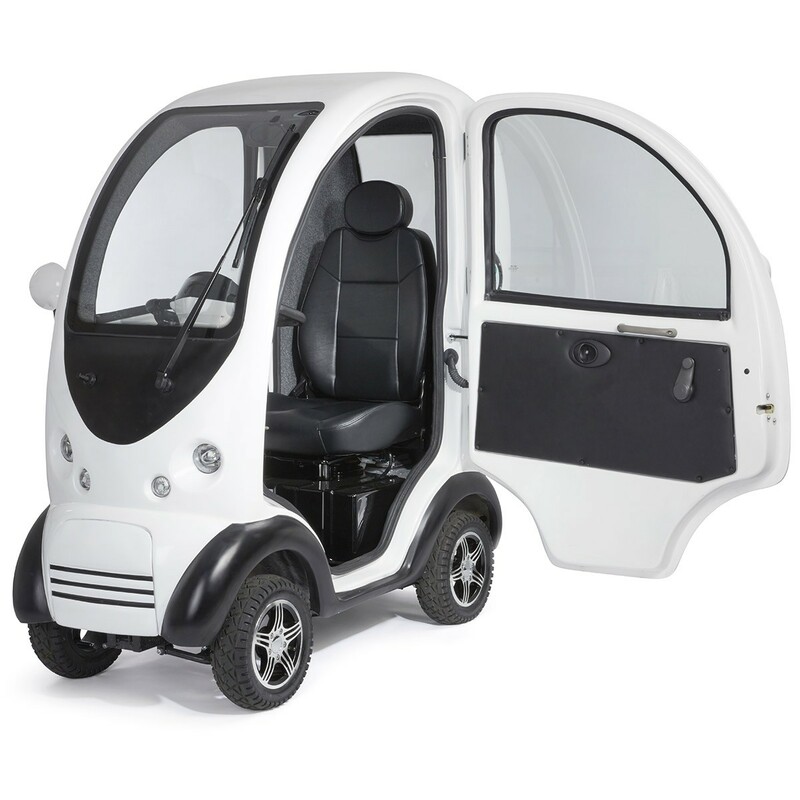 The cabin car is much more than just a regular mobility scooter! it puts me in mind of my invalid car when i had it years ago. I would need to find out more info about speed and charging and how far you can go out etc., before i make up my mind. I am on high rate motability and have had a scooter before. I am in my own power chair 24/7 and can’t walk, cerable palsy. look forward to hearing from you.